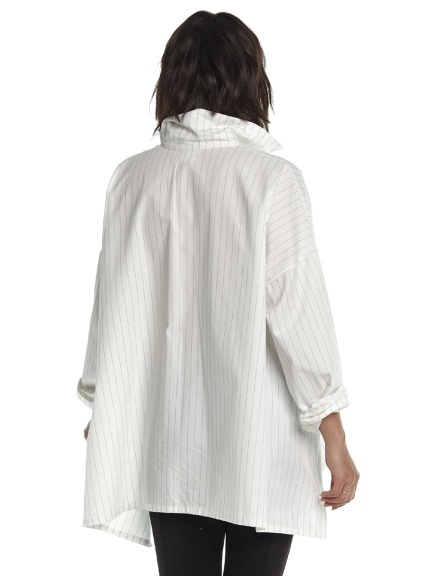 A slightly structured, button down shirt with a modern, draping cut. 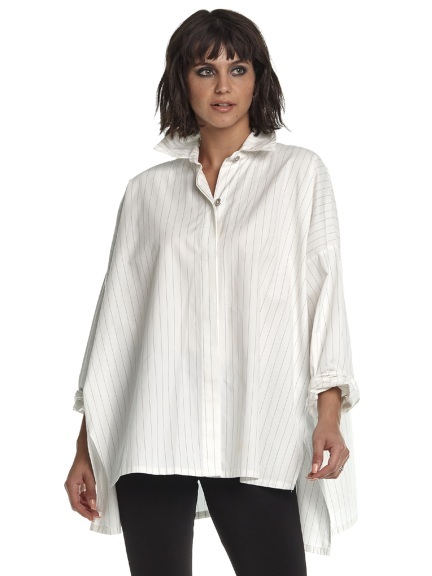 Shirt features a front hidden button placket and side vents. Made in the U.S.A. The colors Black, Oyster, Pinstripe are available as a Special Order, estimated to ship on May 23rd for orders placed today.